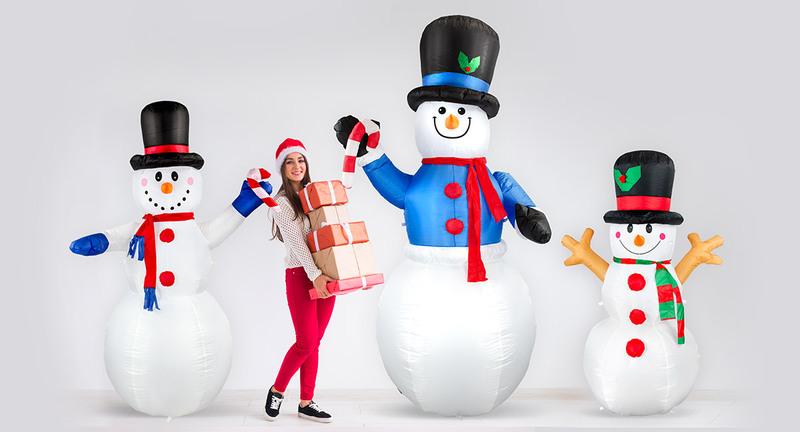 This 11' ft Santa Claus Archway with Candy Canes, Stockings, and a Teddy Bear Light Up Christmas Inflatable By Comin™ makes an eye-catching outdoor lawn decoration. It's simply the perfect combination between simplicity and bold, with the two complementing each other perfectly. Added on is the wear-proof design, which improves the ability to last. This cheerful Santa Claus archway is perfect for all entryways, whether it be for a gift shop greeting or home decoration. It's simply perfect for any special occasion such as a Christmas promotion sale or a holiday party. In it, a jolly Santa Clause is holding onto a stocking with a teddy bear and another with candy canes with his green mittens. Its high quality, its waterproof nature, and its tear-resistant design make it ideal for both outdoor and indoor usage. It only takes a few minutes to inflate and is made for compact storage.